What do most new clients tell me they want less of in their lives? Stress and Anxiety. What do most new clients tell me they want more of in their lives? Peace, Calm, and Happiness. Meditation is one of those tools that other cultures have used for centuries to get all those things for their lives. Back then they didn’t have the technology to do scientific research on HOW meditation works for reducing stress and anxiety, and HOW it works for creating peace and calm. They just meditated because they KNEW that it worked! I know it works because I’ve seen it work for me and for many of my clients. Today we do have the technology for those inquiring minds that want to know how and why meditation works. 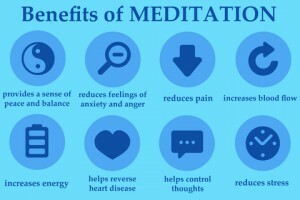 Studies show that right after meditating, you experience actual changes in your brain which lead to feelings of calm and contentment, as well as increased awareness and empathy and happiness. 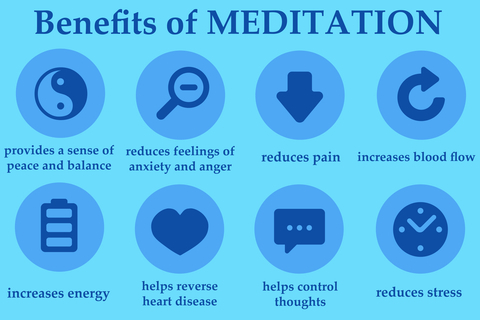 Meditation literally clears your mind which paves the way for less anxiety, less stress, more calm, more peace, and more happiness! I encourage you to take a few minutes right now to clear your mind and bring more peace, calm, and happiness to your life. Click here for a free meditation app for your PC or phone and enjoy!